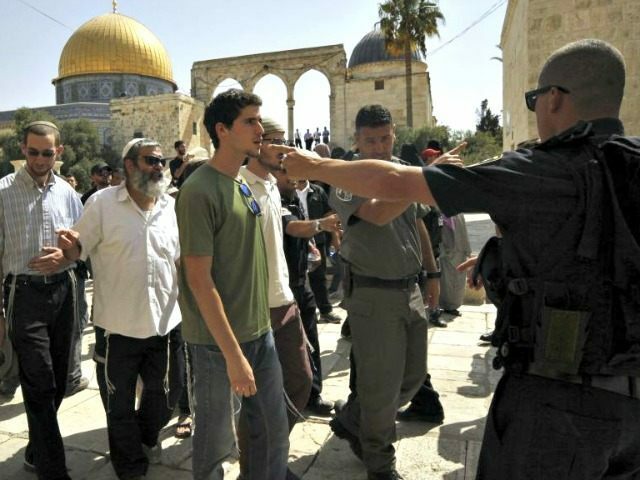 JERUSALEM – Palestinian claims of a so-called Jewish threat to the Al Aqsa Mosque continued to unravel on Monday, when the Jerusalem District Court here sentenced three Palestinians to prison time for a plot to kidnap and murder Jews on the Temple Mount. The three were living in the eastern Jerusalem neighborhood of Abu Tor. According to the indictment, the trio were part of a terrorist cell that held 15 meetings to plan attacks on Jews on the Temple Mount, even preparing weapons and explosives for the attack. The court decision comes as Israel has been facing a “wave of terror” by Palestinians largely driven by a false narrative claiming Jews are attempting to take over the Al Aqsa Mosque and that Israel poses an imminent threat to the site the Muslim world calls its third holiest. The narrative is particularly nonsensical given that it is propagated by the same Palestinian Authority that has been caught on several occasions trying to destroy Jewish Temple-era antiquities on the mount. While claiming an Israeli plot against the Al Aqsa Mosque, hundreds of Palestinians last month set fire to the Joseph’s Tomb complex, causing severe damage to the revered burial place, considered Judaism’s third holiest site. On the Temple Mount itself, the outlawed radical Islamic Movement has been mobilizing Arab youth in an attempt to smuggle fire bombs, pipe bombs, Molotov cocktails and stones onto the site to attack Jews there. While Palestinian media outlets have been broadcasting misinformation about Israeli police storming the Al Aqsa Mosque unprovoked, Islamic Movement-tied youth have themselves been using Al-Aqsa Mosque as a staging base to attack Jews.The clear goal seems to be to draw Israeli security forces into the sensitive mosque compound and thus fueling the cycle of rumors of Israeli incursions into the mosque.